I.S.S. 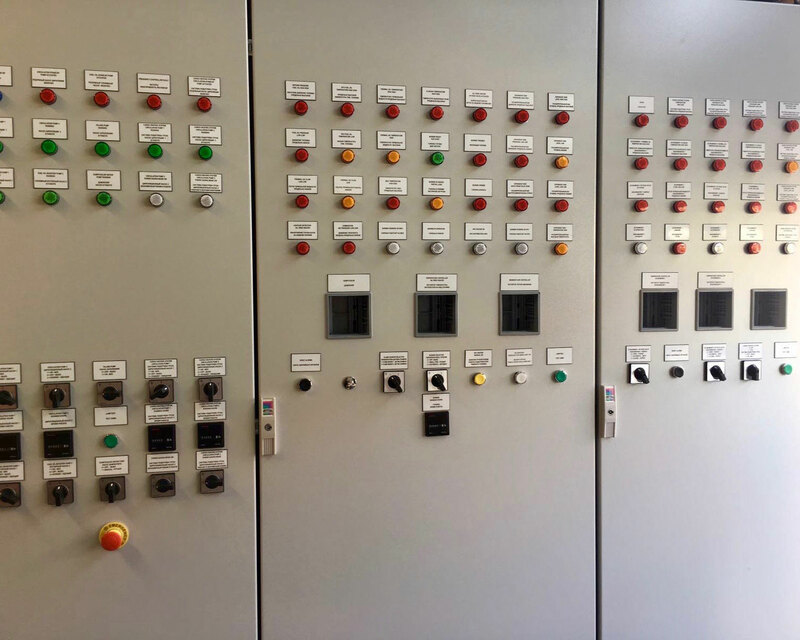 Industrial & Ship Services BV has build a large, conventional switch box to control the thermal oil plant on board of a Russian inland ship. The front panel shows the various LED indicators, cutouts for the electric controllers and various buttons and switches to control the thermal oil system.